Kalamazoo Rabbit Rescue is a registered non-profit 501(c)(3) no-kill corporation. 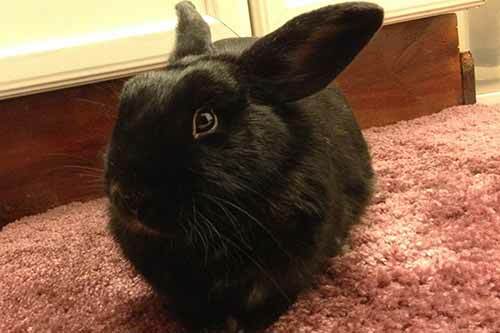 Our purpose is to provide an exemplary, permanent home for unwanted, neglected, and abused rabbits. We aim to educate the public regarding proper rabbit ownership, and place suitable rabbits with approved adopters. 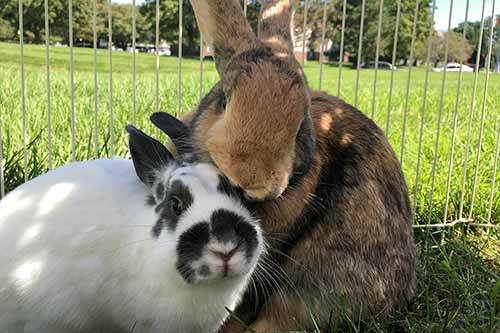 We accept rabbits from both private owners and shelters, and provide them with housing, food, veterinary care, and enrichment. We currently rely solely on donations! Please consider making a monetary contribution or selecting items from our Amazon Wishlist; the bunnies are so very grateful! Rabbits are awesome. They have an insane amount of personality, energy, and curiosity. However, they require more care, attention and stimulation than most people are aware of; we are determined to provide that when they are with us, whether temporarily or permanently. 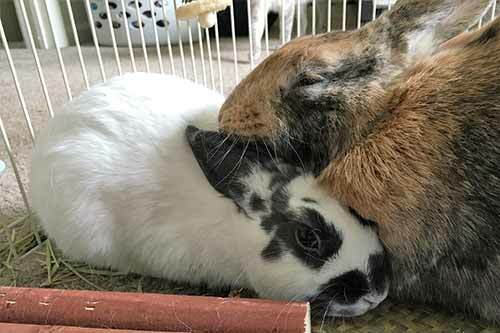 Interested in learning more or having a conversation about rabbit ownership? Contact us - let’s chat. Rabbits need space to run, jump, stretch out, play and explore. Each of our enclosures is designed to fit each individual rabbit’s specific needs.